Synopsis: "First up, a disclaimer. I suspect I am a dead man. I have meagre proof, no framed- up certification, nothing to toss in a court of law as evidence of a rapid departure from the mortal coil. I recall a gun was involved, pressed up against my skull, and a loud explosion followed." Thrown into the milieu are saké, B-29s, Lewis Carroll, Sir Thomas Malory, Melbourne, 'The Wizard of Oz', and a dirigible - along with the allusion that Red Riding Hood might just be involved. About the Author: Melbourne-born Andrez Bergen is an expatriate Australian author, journalist, DJ, photographer and musician, based in Tokyo, Japan, over the past eleven years. Aside from specializing in Japanese culture, anime, movies, and electronic music’s various tangents, Bergen has written fiction for Another Sky Press, Crime Factory, Shotgun Honey and Snubnose Press, worked with anime director Mamoru Oshii, and did a book of prose in collaboration with Polish photographer Tomek Sikora. He published his debut novel, Tobacco-Stained Mountain Goat, in 2011. Bergen makes music and videos under aliases Little Nobody, Slam-Dunk Ninja, and Funk Gadget, and he ran indie/experimental record label IF? for fourteen years. 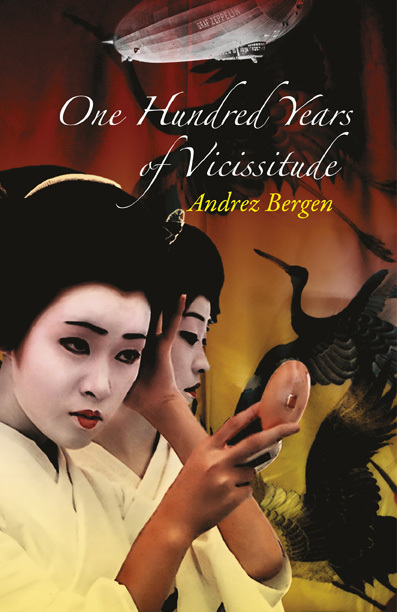 One Hundred Years of Vicissitude is his second novel. Like a lot of people, I loved Andrez's first book - Tobacco-Stained Mountain Goat. And if you haven't read that yet, you really should. When he told me that he was working on this one, I said that it needed to be a LitReactor Book Club selection. I hope you guys are as excited as I am to get to it. I'm looking forward to the discussion that this book genereates. I'm very excited about this. I just got my official copy in the mail last week. I can't recommend this book enough. Maybe when it's back in stock I'll order. Cool. No doubt Andrez will be around taking questions for this. Here's a thing - my mother likes Andrez's stuff. She loved TSMG. When reading that book, I would have never guessed it would have such universal appeal. But everybody I know who has read it has loved it. It's just awesome when something like that happens. And I'm sure Andrez will be checking in too. Thanks for the intro, Pete - and for the chance to run with this here. Obviously I'm extremely happy (those that know me will be expecting "chuffed" to materialize... hah!). Also, I want to take this opportunity to say thanks to Phil Jourdan @ Perfect Edge Books - he has a lot more stuff lined up from some wonderful writers in coming months. Anyway, enough waffling from me. I'm looking forward to chatting more - ta, mates. Did somebody say Digital Preview Copy? Dave--Just buy it. I promise that you will want to own it. Andrez was kind enough to give the Books and Booze crew digital preview copies when he was a guest on the show in July--and we've all ordered the hard copy now that it is available. It is a book you won't be satisfied to simply have read--you will want to own it. Oh, I plan on buying it. I'm a total bibliophile. Its hard to read dead trees at work though, so if I can I like have an e-version. Pete was kind enough to provide a copy, thanks, and I cant wait to read it. WAY cool (and cheers, Pete). I gotta get this one now! Hopefully I'll get to say something before the discussion disappears. Well, they eventually make their way to recesses of the discussion threads where they are hard to find if you're a person of little patience, like me. Luckily we have 17 days still we're (officially!) s'posed to begin, then 31 days after that... ahhh, time. Plus, I love December. The inanities of the Yuletide season, my birthday, bōnenkai (忘年会) end-of-year drinking parties here in Japan, etc, etc. Congrats! Cracking the book this weekend. Let's get this party started! How did everyone love it ? It took me a bit to get into. I think it was just a matter of falling into the rhythm of this. Like the first few chapters, I read them, and had a hard time coming back to them. But then I hit this point where I was really getting it. I think I finished the 2nd half of the book in 2 sittings. Overall - it's not a tired story. Completely original. That's one of the things I love about Andrez's writing. He brings something to his writing that you may have never seen before. I didn't read much about the book before starting to read it. So I wasn't sure what to expect. I was a little nervous because the one thing that I did keep seeing is that it was "kind of a sequel" and I wasn't ready to jump back into that world from the first book. I forgot who all the characters were and I didn't want to feel lost. 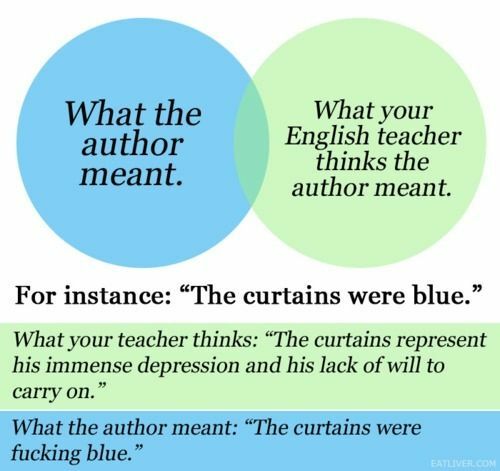 But, if you've read this, you know you don't have to read the first one. It's only a sequel in the fact that the main character is in the first one and mentions how he died a few times. I'm trying to think of some more things, but I read it a month ago! Get the conversation started and hopefully I can add more when you guys spark my memory. Thanks, R & C - and P, thank you for the nice words. Yep, I agree the first two chapters are the toughest - they subverted themselves into some kind of bizarro world slipsteam/steam-of-consciousness combined with the narrator's (intentionally) self-indulgent ramble - but I hope that matches up with the odd locale. I still don't have this, I'm ashamed to say. Planning to get it soon... hoping for some gift cards and such for Christmas. I'm completely broke. Probably won't get to participate in the discussion, but school has basically guaranteed that I never get a book finished in time even when I try at this point, so that's nothing new. Glad to see everyone talking about this one, though. I still need to figure out if I can order from Amazon.co.uk because apparently they have a sexier cover for the book (not the image, but the finish). Still reading! (I had a paper-grading-filled weekend) - I find it fascinating (the book, not the grading). What a good premise you came up with - the meeting of cultures in this detached, stake-less place, yet with the ability to revisit the past. My biggest curiosity without having finished the book yet is, how did you do all the research? Were you talking to people in Japan (you lived in Japan?) or did you use the internet, books, or how? The perspective of the Japanese during WW2 is generally under-explored in novels (other than in Japan, I'm sure), so I'm glad you decided to do it. Wow - what great feedback, Liana! Chuffed you're enjoying it thus far. Research-wise I studied Japanese history at university and have been living in Tokyo these past 11 years, plus I specialized as a journalist on Japanese culture (movies/anime/music/schlock stuff). I've been able to discuss much of what goes on here with friends and students, plus - yep - I did a lot of research, and the 'net was invaluable. Totally agree with your point that the perspective of the Japanese during WW2 is generally under-explored, and that gave me added impetus. Well you know I love this book. I'm trying to get a question/comment I haven't poured over you already, or at least expand on one. Good question, R. Thinking back, it's hard to picture a time pre: Kohana/Wolram, but now I really work the old grey matter upstairs I've remembered that originally Kohana was going to act as narrator, flying solo - Deaps was a rather late inclusion, something that occurred to me after I resurrected the project last year. I wish I could recall what triggered including him. I know I was chilling out on a crowded train, mulling over the story's directions, but otherwise the "lightning flash" eludes me. So glad again you enjoyed the book, mate. I'm off to Ireland for a few days, but I wanted to peek in and mention that I'm proud to have published Andrez's book and we're starting the more serious promotion machine now. I've always envisioned this book as slow-burner, cult classic thing. Off our catalogue, it's going to be the one that will need the slowest approach as far as promotion goes precisely because it's not an "obvious" bestseller, at least in my eyes. It's a great book, an intelligently written, weird, dialogue-heavy novel. For that reason, I think (and I hope) my instinct is right: it will take time for people to pick up on the fact that other people already like it. That's the weird thing about Andrez for me, in general. As a person, you can't fault him: he's open-minded, he personally thanks his fans for good and bad reviews, he is hard-working, friendly... yet as a writer, he's got this whole different class: darker, brainier, more ambitious and erudite, careful, difficult in places — the kind of qualities you'd expect from someone who, in real life, you'd consider a bit of an unapproachable dickhead with talent. It's wonderful. You get a great guy and a great writer. If you love the book, the best thing you can do isn't necessarily to tell everyone — it's to tell the right people. Tell the people it made you think of as you were reading. I agree with that assessment. Tobacco-Stained Mountain Goat didn't blow up. But it sure got popular. Wow, Phil - thank YOU. Wasn't quite sure how to respond to this - I took time out today teaching to think it over, but I'm blown away with your comments. Glad I'm not "an unapproachable dickhead", too! ;) Really, thanks. Way cool to get this kind of feedback. You too, Pete. I finished the book (sorry, had a few delays for personal reasons but I couldn't wait to return to the book to see what happens). It was quite a page turner, in fact. It took a little while to get into it because of the strange detached atmosphere, but when that became natural, so to speak, meaning that I accepted the world you created and everything started to make sense, then I really enjoyed the jumps through time and all the lives unfolding in bits and pieces. Such an unusual pairing of characters, but I liked that they had a lot of points of convergence in their lives, especially because of things they sufferent through. I wouldn't have thought it likely (before) to parallel Australian and Japanese history/culture/people, but that's what made the book intriguing - I've never been to either places and you seem to know a lot about both. And peeking at your acknwledgements, now in fact I'm not going to ask some of the questions I had, because you answered them there. Still, I'm curious if Kohana is inspired by a real-life person - someone you know or someone in Japanese history? Or a combination? Somehow I wanted to see more of her sister, I really liked how different they were. But I liked Kohana too, and her strength most of all. Seeing in the afterword that you like anime, it made perfect sense to me. The style of the book made me think that I'd like to see it turned into a movie, but somehow anime kept coming to mind. But I'm sure it could be a good movie either way. I think this detachment that I mentioned before helps in dealing with painful moments in history (and in characters' lives) because too much emotion can stand in the way of seeing a big picture. That's one thing I think Kurt Vonnegut does successfully in Slaughterhouse Five, and I think you did too. These are my thoughts right after finshing the book. Maybe I'll have more questions later. I enjoyed it! Cheers for this very cool feedback and for your thoughts, Liana, and great to hear you finished (ta!). I get you, re: the strange/detached atmosphere early on, but glad to hear you held out and - by the time the jumps happened - were more settled into the ride! Re: the acknowledgments, I'm not one of those hacks who hides all the influences; I pretty much wear them on the sleeve and harp on about them to anyone who'll listen, as I love or feel strongly about this stuff. In answer to the Kohana question, she's a mix of various things: my wife Yoko, the Japanese actresses Setsuko Hara, Misa Uehara and Meiko Kaji - as well as the characters of Omocha in Kenji Mizoguchi's Sisters of the Gion (1936) and Chiyoko Fujiwara in Satoshi Kon's Millennium Actress. But she's also a figment of my imagination, so about 50/50. Thanks again for the very nice words! Liana--I totally agree that this book is absolutely cinematic. That's the best way I can think to describe it...I'm not big on anime, so perhaps that's why it didn't register like that for me--but I felt like I was watching the scene changes and action on a screen rather than reading them. Absolutely well done, and beautiful. Really appreciate the assessment, mate. You rock. Well I could gush over this book for days but I am trying to maintain my composure, haha. Definitely one of my favorites, as I've said again and again to anyone who will listen. I'm holding out until I have a good question before I'm handed the mic. Is there any significance to Deaps finding Kohana...was it just coincidence that he found her, or does her past with Deaps' father play a factor to them meeting? Was it fate/karma/etc for Deaps or Kohana or both to have this journey together? Re: the significance of Deaps finding Kohana, that's a great question. When I first inserted Deaps into a tale that was originally going to be Kohana's alone, I'm fairly certain coincidence played across my mind; either that or I didn't give any thought - it just seemed right. But as I developed Deaps' back-story I realized I could tie Les (an original character in the novel before Deaps) to the narrator, since the ages matched up, and it just seemed so right to do so. I'm glad I did so, but I can't point out exactly when that transition occurred. Which, I think, is a testament to not only the accessability of 100 Years, but the quality of storytelling you've acheived. Personally, it was a tale of atonement and redemption and how the people we let into our lives leave their traces, and it was brilliant, and that is the true magic of storytelling, is people being able to get out of it what they do, as opposed to the author clearly defining and dictating a message. On the business end of it, it was a smart move to incorporate Deaps, it seems, because though it's not a direct sequel, I do now want to know his backstory ( I did get TSMG but have yet to read).